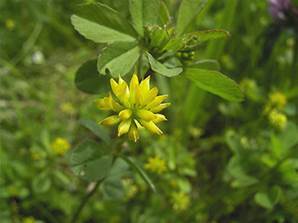 A small annual of dry ground with small clover-like leaves. Yellow pea-type flowers. Accepted as the plant to represent the Irish Shamrock.